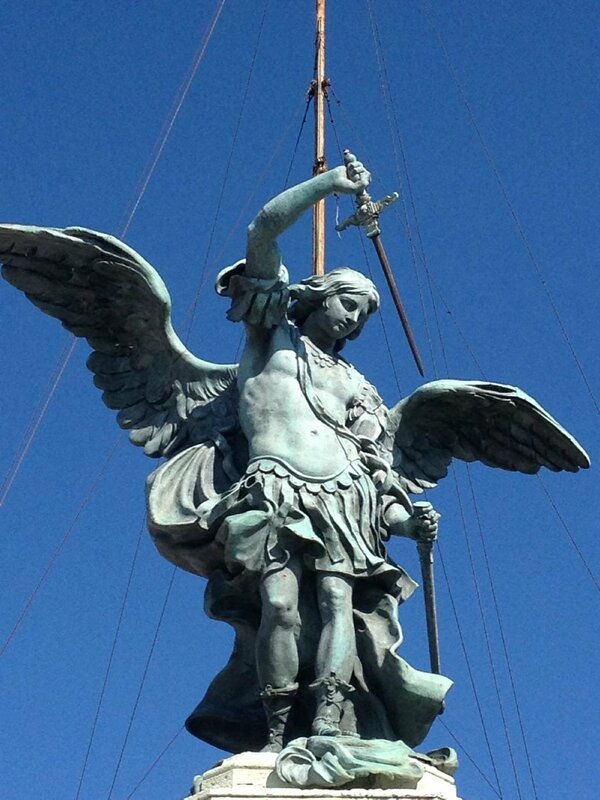 This statue is at the highest point on Castel Sant’Angelo and is a large bronze statue that was installed in 1753. 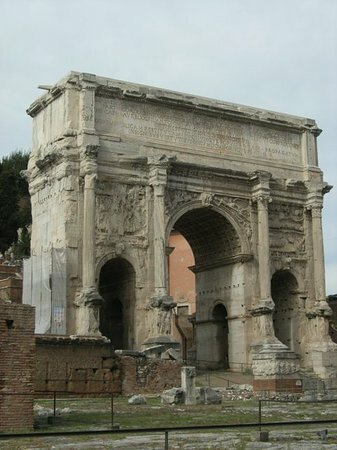 It must be seen from the Courtyard of Honor. 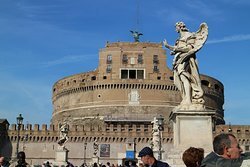 This area also affords great views of Rome and Vatican City. 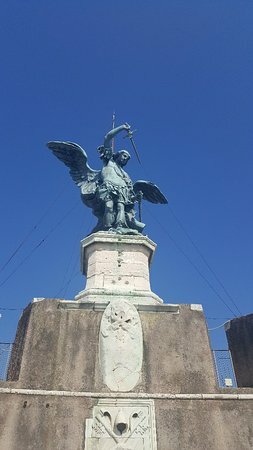 Located on the top of the castle is this huge statue/monument of/to the Arc Angel St Michael, definetly worth the effort to get to the top, to see the true size of him, and the views are stunning. 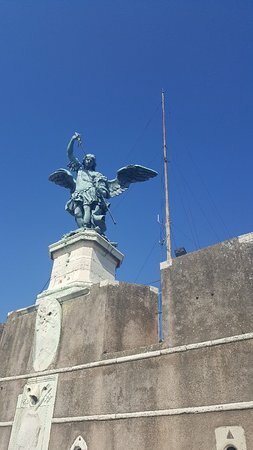 Saint Michael statue is awesome! 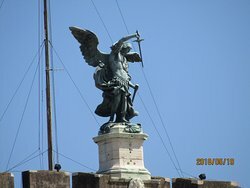 Saint Michael statue stands atop Castle Sant’Angelo. The entire site is a museum with many lookouts. With children, you can walk around with ease. Boys always love the idea of being knights fighting with swords! 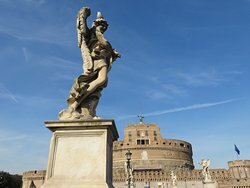 A must see while in Rome! 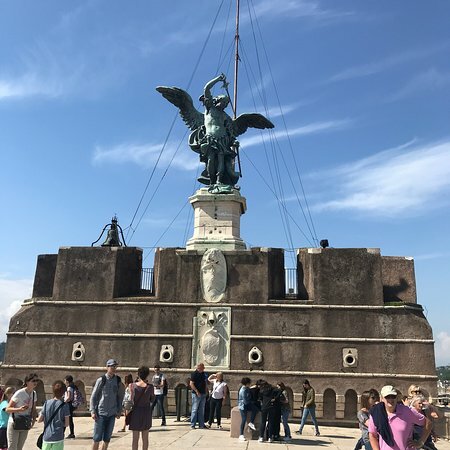 Castle San Angelo has SOOOO much to explore, and when you finally reach the roof terrace and take in the expansive views over Rome, turn around and check out the Statue of St Michael the archangel. 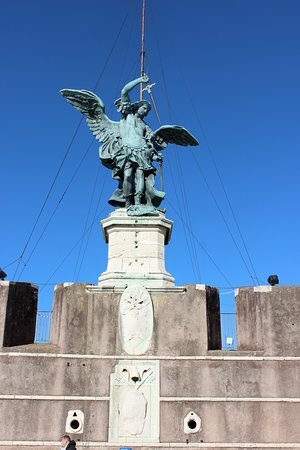 The statue of St Michael the Archangel can be seen atop the Castle Saint Angelo. 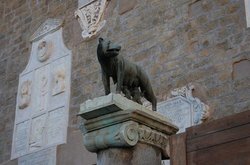 He is cast in bronze. He is the leader of all angels and of the army of God. 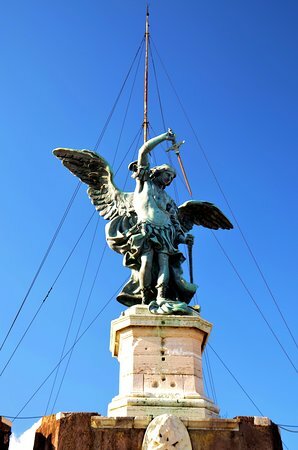 Statua di San Michele Arcangelo is on top of a huge castle, the Castel Sant' Angelo, and can be seen from far away. 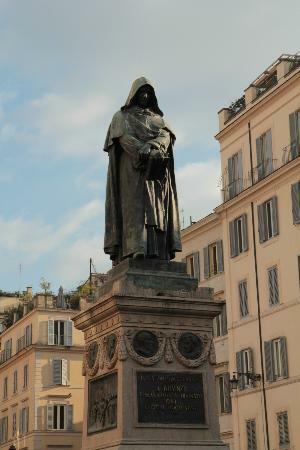 It's bronze and worth seeing at least once. 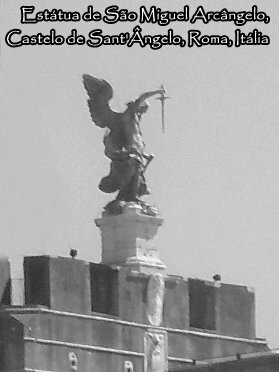 Maybe it is better to see the photos about this statue, as on the top of Castle Sain't Angel you can't take a closer look on it. 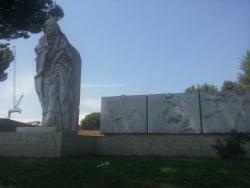 Get quick answers from Statua di San Michele Arcangelo staff and past visitors.